Home » Android » Now non Canadians can also download official English PUBG Mobile Game without playstore! Now non Canadians can also download official English PUBG Mobile Game without playstore! 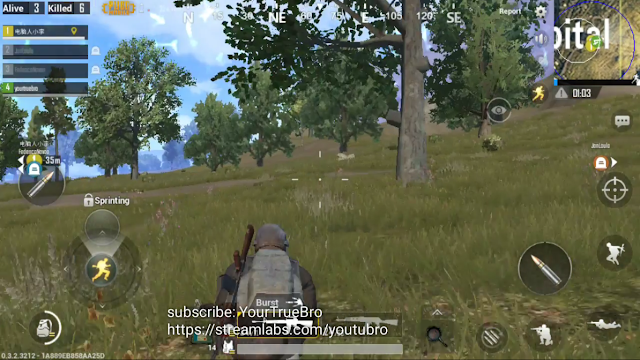 Most people are aware of this PUBG game aka PlayerUnknown's Battlegrounds game. but before that check out Our First 3D Android Game : "Leela" is World's 1st Ancient snake and ladder Game based on Indian Yogic System. developers has earned more than 1000 million USD so far! because of this craziness they are distributing this game on different platforms and now they have started beta testing for android devices as well! Yalpstore is basically a playstore clone where you don't need to enter 'your' details to download official playstore stuffs from official servers. allow install from 'unknown source' option if android asks you for it and install it after that simply visit https://play.google.com/store/apps/details?id=com.tencent.ig and download your game via yalpstore app! visit this link install apkpure and download your game by visiting the same link again! share this article with your fellow PUBG Fans!